Η Fiat ανακοίνωσε την Opening Edition του 500X. Διαθέσιμο από τις αρχές του 2015, το 500X Opening Edition θα είναι διαθέσιμο σε Ιταλία, Γερμανία, Γαλλία, Ισπανία και Ελβετία, θα βγει σε παραγωγή σε μόλις 2.000 μονάδες και στην Ιταλία κοστίζει 21.900 ευρώ. Η απλή έκδοσή του είναι βαμμένη σε Art Grey χρώμα, φορά φιμέ παράθυρα, ζάντες 18″, ειδικά σηματάκια, αυτόματο κλιματισμό και τα πακέτα ασφάλειας και άνεσης. Σε αυτή την έκδοση είναι διαθέσιμος ο 1.400αρης MultiAir II με τα 140 άλογα, και ο 1.600αρης MultiJet II με τα 120 άλογα με τη κίνηση να μεταδίδεται στους μπροστά τροχούς. Όποιος επιθυμεί τετρακίνηση, τότε πρέπει να στραφεί στην κορυφαία έκδοση, η οποία είναι βαμμένη σε κόκκινο χρώμα και διαθέτει επιπλέον αισθητήρες βροχής και αυτόματα φωτιστικά σώματα. Στο εσωτερικό υπάρχουν δίχρωμες επενδύσεις, ηλεκτροχρωμικός κεντρικός καθρέπτης, το σύστημα ενημέρωσης και ψυχαγωγίας Uconnect με GPS και κάτω από το καπό του υπάρχει ο 2,0-λιτρος MultiJet II των 140 ίππων που συνδυάζεται με το 9-τάχυτο αυτόματο κιβώτιο, και στέλνει τη κίνηση σε όλους τους τροχούς. It charmed you in Paris with an original reveal at the recent Motor Show, and thousands of you all over the world have given it positive feedback. 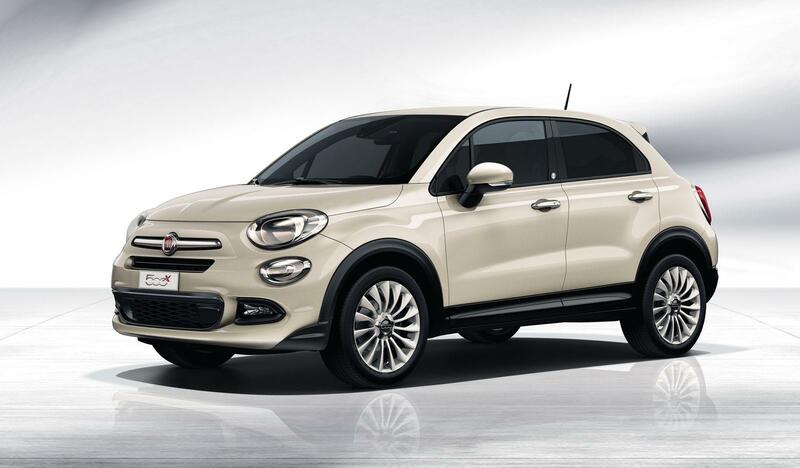 You’re clamouring to see it, but you’ll have to wait just a few months more: the new Fiat 500X is set to arrive in dealerships from early 2015, and like any cult item, initially it may be tricky to meet demand. With this in mind, Fiat has created an exclusive, top of the range, limited edition of the model – the Fiat 500X “Opening Edition” – to guarantee the first 2000 lucky customers the chance to drive the exciting new crossover from the 500 family. Two exteriors – like the two souls of the new 500X: one more “urban” in Art Grey, the other in tri-coat red, perfect for recreational use. 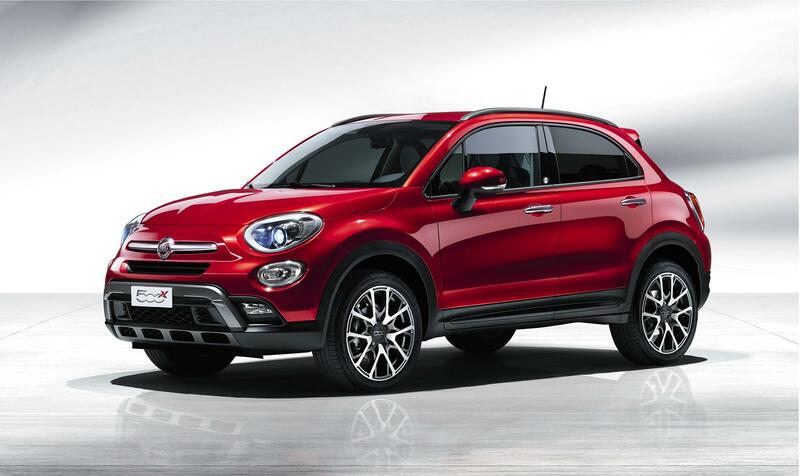 On the markets on which it is sold – Italy, Germany, France, Spain or Switzerland – the Fiat 500X “Opening Edition” will be available in three versions: two 4×2 options with the 140 HP 1.4 Turbo MultiAir II or the 120 HP 1.6 MultiJet II engines, and one 4×4 with the 140 HP 2.0 MultiJet II engine. The 500X “Opening Edition” with 4×2 drive system – equipped with the 120 HP 1.6 MultiJet II engine or the 140 HP 1.4 Turbo MultiAir II – features a pastel Art Grey livery, and an exclusive selection of equipment such as automatic climate control, 18″ alloy rims, the “Safety Pack” which includes a comprehensive range of active safety systems (anti-collision, a lane change assistance system to get around blind spots, a lane departure warning system, a rear camera for reversing), as well as the “Comfort Pack” to ensure optimum on-board comfort (armrest and lumbar adjustment) plus the Keyless Entry & Keyless Go system, tinted rear windows and the exclusive Opening Edition badge. The second version comes in exclusive tri-coat Amore Red, and boasts 4×4 drive system with a 140 HP 2.0 MultiJet II engine plus 9-speed automatic transmission. The top of the range equipment on this model is sure to attract attention. As well as a host of features as standard, the purchase price also includes a wealth of exclusive content, from the special tri-coat Amore Red paint, to the navigation pack (Uconnect Nav 6.5″ with additional USB port on the front armrest compartment), plus two-tone red and black leather interiors, visibility pack with rain and dusk sensors, electrically folding door mirrors, an electrochromic rear view mirror, steering wheel gear controls and the exclusive Opening Edition badge. In Italy, the price list starts at Euro 21,900 for the 140 HP 1.4 Turbo MultiAir II version with 4×2 drive and goes up to Euro 30,650 for the top-of-the-range 500X “Opening Edition” with 4×4 drive and 140 HP 2.0 MultiJet II engine teamed with the 9-speed automatic transmission, with exclusive content worth up to Euro 3,500 included in the purchase price. For list prices for other markets (Germany, France, Spain and Switzerland) please check the local websites and access the dedicated international press area directly from the home page. 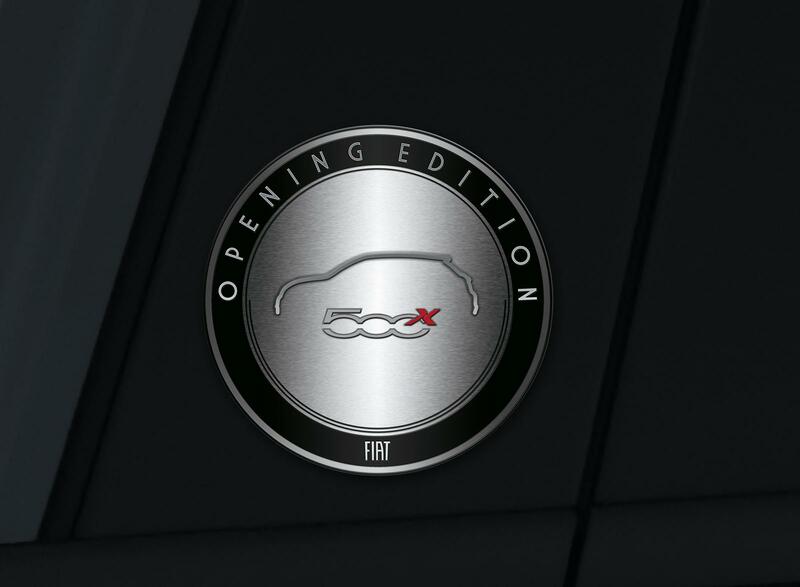 With this special “Opening Edition”, Fiat is looking to give something back to the many fans who, following the exciting international debut at the Paris Motor Show, have expressed enormous interest in the new Fiat 500X, the 500 family’s compact crossover which marks the evolution of the brand and is a further expression of the technological maturity that runs in its blood. A beauty with character, the new car explores a brand-new dimension of being 500, where a mature, elegant, all-Italian style “clothes” – like haute couture – the substance of a car that is comfortable, high-performance and always in touch with the world: this is the X side of beauty, and this is the soul of the Fiat 500X, which 2000 lucky customers will be able to experience before anyone else in the world.